It has very stable motion while still being able to move reasonably well. It can chain together making a train of boats. This allows a real community while still on the ocean. Can visit a friend, a group can work on a project, group can cross an ocean together, etc. For the size it is light weight. The cost of a boat grows with the weight so a very stable boat with enough room that is still light weight is very nice. Plenty of room for solar panels. All versions will be able to operate alone or chain together with others of the same type making a train of boats. We plan to build at least two of each type. Each new type will be about twice the length of the previous type. 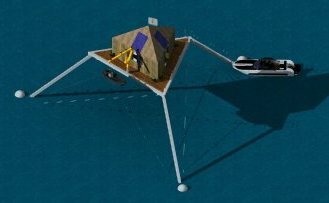 Quadmaran-5 Robot boat for developing software. Quadmaran-10 Carry batteries for night operation. Tow a kayak. Quadmaran-20 Big enough to carry 500+ lbs each, so we can ride. Quadmaran-40 Big enough for trips to other islands or ferry type service. Quadmaran-80 Big enough for a family to live on very comfortably. This 4+ foot long model is big enough to hold a solar panel, batteries, cell phone, and motors. So we are working out the hardware and software to do this. See www.islandboys.ai for current progress on this project. Crowdfunding idea for this one is to offer people a copy of our software if they donate something or to open source it if we get over some amount. 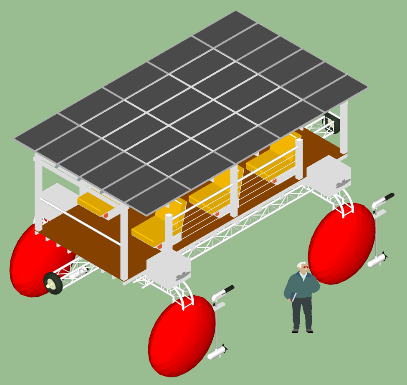 This way other people could make solar robot boats. Could also put logos on the boat. We have one almost built but would like to build a second which will cost about $1,000. 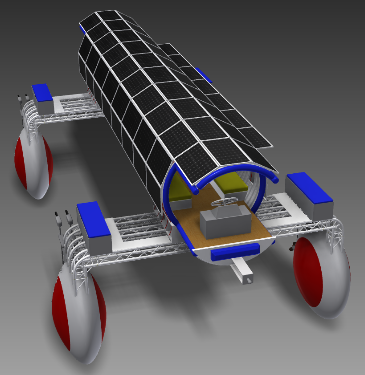 This will be able to carry about 70 lbs worth of batteries, solar, motors, etc. It will be strong enough to pull a kayak, so testing will be fun for me and my boys. Will try to crowdfund this and offer people use kayak and this as a tow boat for some period based on donation amount. 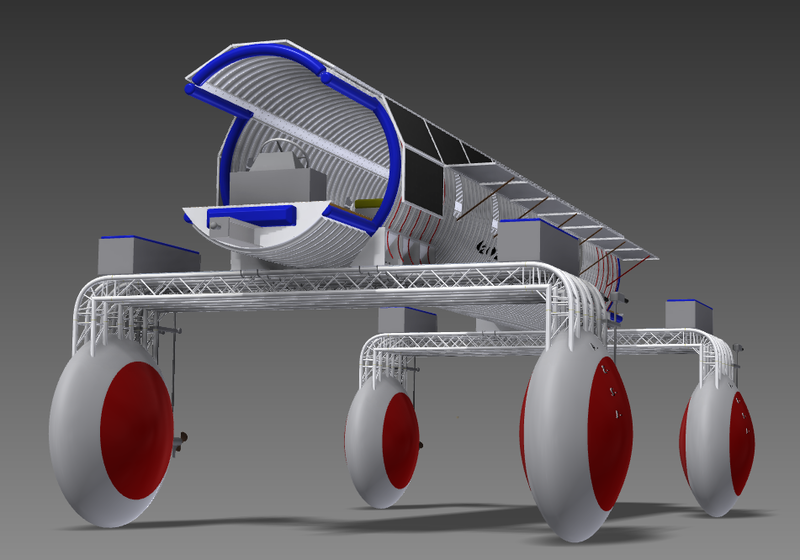 This will be made from foam like the Quadmaran-5 was but we put batteries and motors inside each of the 4 floats. It will have enough battery capacity to operate through the night. Should be able to go long distances like across the Caribbean or even the Atlantic. It will be covered with many coats of Styrospray and at least one of fiberglass or some other screen/cloth material. This will make it much tougher than the Quadmaran-5. It will be strong like a kayak or small fiberglass boat. Cost estimated at $2,500 each. We want 2 for total of $5,000. The Quadmaran-20 will be 20 feet long and 10 feet wide. It will be able to hold 500+ lbs. With 2 of these connected together my family could motor around. It will use aluminum trusses for the framing. Batteries and motors will be inside each of the 4 floats. The floats will be foam poured in a mold and covered with styrospray and fiberglass or material as the floats in the Quadmaran-10. Crowdfunding people will get use the whole thing for some period of time for some size donation. Maybe 1 hour, 3 hour, day, and week amounts. Cost estimated at $15,000 each. We want 2 for total of $30,000. The Quadmaran-40 will be 40 feet long and 20 feet wide. It is using an aluminum pipe as the main body and off-the-shelf aluminum trusses for much of the rest. Both of these can all bolt together quickly. The floats will be made by pouring foam into a mold and then covering with styrospray and/or fiberglass. This will be big enough for a family to comfortably live on. Chained together several families can form a community for as long as they want to. This might be to cross an ocean or work on some project, or just to get together for dinner. If you had a large number connected together the walkway on top lets you go to the one you want to visit without disturbing others along the way. To see more images check this site out. It might possibly be to help cross punch a underwater or maybe work towards many challenge, or merely for getting in concert for lunch.